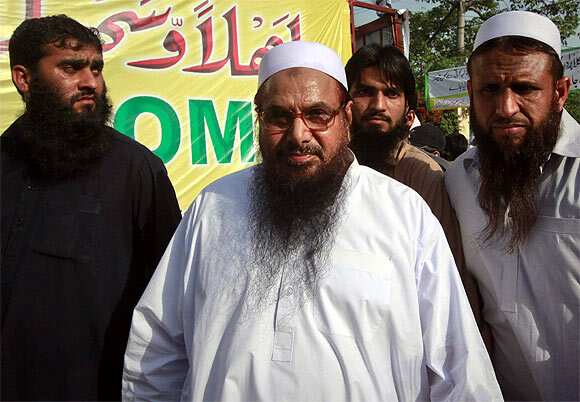 Mumbai terror attack mastermind Hafiz Saeed-led Jamaat-ud-Dawah and its wing Falah-e-Insaniat Foundation were formally placed in the list of banned organisations on Tuesday, a day after Indian media reported that the two outfits continue to be only on the watchlist. According to Pakistan's National Counter Terrorism Authority (NACTA) list, which was updated on Tuesday, JuD and FIF were among 70 organisations proscribed by the ministry of Interior under the Anti-Terrorism Act 1997. 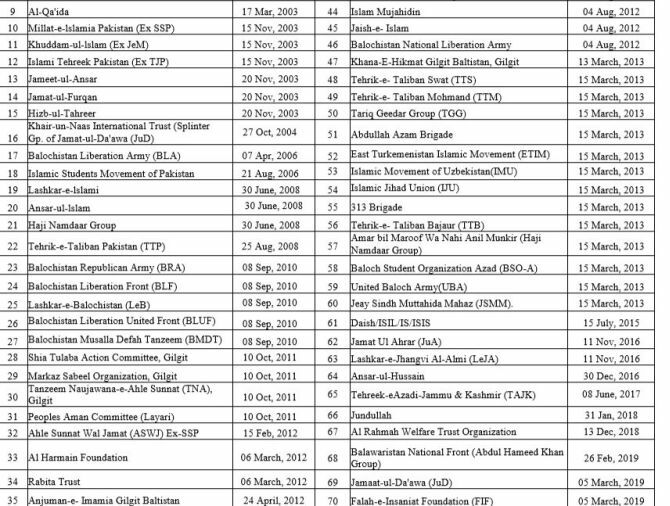 'This list is updated as of 05th March, 2019 and prepared by NACTA based on the notifications issued by Ministry of Interior,' said a note at the bottom of the list. 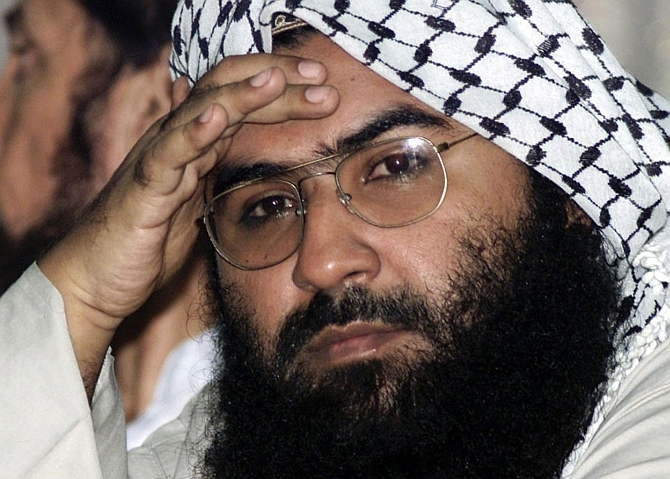 The development comes on a day 44 members of the banned terrorist outfits, including Jaish-e-Mohammed chief Masood Azhar's son and brother, were taken into 'preventive detention' amid mounting pressure from the global community on it to rein in the terror groups operating on its soil. 'It was decided (at a meeting) to speed up action against all proscribed groups. In compliance, 44 under observation members of proscribed organisations, including Mufti Adbul Raoof and Hamad Azhar, have been taken in preventive detention for investigation,' the interior ministry said in a statement. Later at a press conference in Islamabad, Minister of State for Interior Shehryar Khan Afridi confirmed that 44 people have been taken into custody as part of crackdown on militant groups. Ministry of Interior Secretary Azam Suleman Khan said Hamad Azhar and Mufti Abdul Raoof were among those detained. Hamad is the son of Masood Azhar while Raoof is his brother. Khan said a dossier shared by India with Pakistan last week also contained names of Raoof and Hamad. "It does not mean that action is being taken against only those individuals who are mentioned in the dossier," he added. On February 21, Pakistan government had announced that it had banned the JuD and FIF, amid intense global pressure to rein in the militant groups following the February 14 Pulwama terror attack that killed 41 Central Reserve Police Force jawans. However, in the NACTA list, which was earlier updated on Monday, JuD and FIF were under watch by the Ministry of Interior. The Pakistan government on Monday also put out another order saying it has frozen assets of all United Nations designated organisations like JuD, FIF. The JuD is believed to be the front organisation for the LeT which is responsible for carrying out the Mumbai attack that killed 166 people. It had been declared as a foreign terrorist organisation by the US in June 2014. The US Department of the Treasury has designated its chief Saeed as a Specially Designated Global Terrorist, and the US, since 2012, has offered a $10 million reward for information that brings Saeed to justice. The NACTA has so far declared 70 terrorist organisations as banned and a sizeable number of these organisations are based in Balochistan, Gilgit-Baltistan and the Federally Administered Tribal Areas (FATA). The crackdown came amid tensions with India following a suicide attack in Jammu and Kashmir's Pulwama district on February 14 by Pakistan-based Jaish-e-Mohammed terror group that killed 41 CRPF soldiers. India last week handed over the dossier to Pakistan to take action against the JeM, as pressure mounted on Islamabad to take action against individual and organisation listed by the UN Security Council as terrorists. Foreign Minister Shah Mehmood Qureshi last week admitted that the JeM chief is in Pakistan and is 'very unwell', but said the government can act against him only if India presents 'solid' and 'inalienable' evidence that can stand in a court of law. "He is in Pakistan, according to my information. He is unwell to the extent that he can't leave his house, because he's really unwell," Qureshi told CNN in an interview. Afridi, however, said the action was not taken due to any pressure. "This is our own initiative...We won't allow the use of our soil against any country," he said. Interior Secretary Khan said the action would be taken against all the proscribed organisations under the National Action Plan, which was formulated after an attack on an army school in Peshawar in 2014 that killed nearly 150 people, mostly children. "This is across the board - we don't want to give the impression that we are against one organisation," he said. He said the crackdown will continue for two weeks and actions against the arrested members will be taken on the basis of evidence. Responding to a question, Khan said JuD and FIF would be banned within 24 hours. The interior ministry statement also said that a high-level meeting was held on March 4 to implement National Action Plan (NAP). It said that actions against extremists will continue, as per the decisions taken in National Security Committee (NSC). The move came a day after Pakistan on Monday promulgated a law to streamline the procedure for the implementation of the UN sanctions against individuals and organisations. Interpreting the order, Foreign Office spokesperson Mohammad Faisal said the order means that the government has taken over the control of assets and properties of all banned outfits operating in the country. The US last month asked Pakistan to 'freeze without delay' the funds and other financial assets of the United Nations Security Council-designated terrorist networks and their leaders. Pakistan is also under pressure from the Paris-based Financial Action Task Force (FATF) to deliver on its commitments to curb terror financing. The FATF in June last year placed Pakistan onto its watch list in a bid to push the country to halt support for terrorist groups. In June 2018, Pakistan made a high-level political commitment to work with the FATF and APG to strengthen its Anti-Money Laundering/Combating the Financing of Terrorism AML/CFT regime and to address its strategic counter-terrorism financing-related deficiencies by implementing a 10-point action plan to accomplish these objectives. The successful implementation of the action plan and its physical verification by the APG will lead the FATF to clear Pakistan out of its grey list or else move into the black list by September 2019.